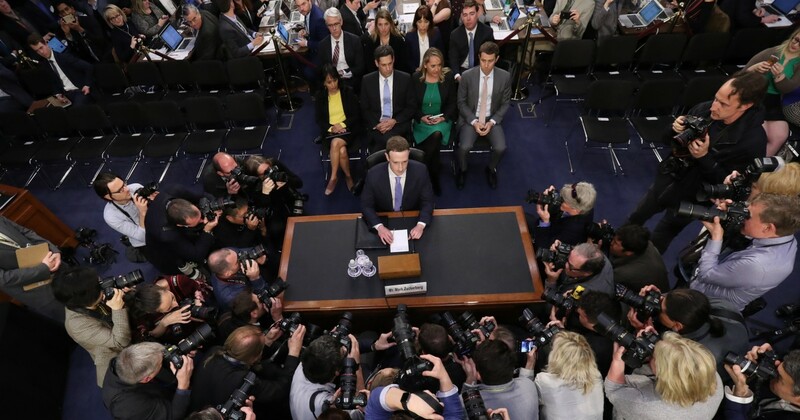 The key moment was when Senator Orrin Hatch, I believe, rhetorically asked The Zuck how Facebook makes money if they don’t charge people to be on it. And The Zuck gave the above reply, which is basically the line Aaron Sorkin would have written if they let him script this day. Woody Allen in “Sleeper.” Separated at mirth…. Meanwhile, a reminder that notorious anti-tech activist (and murderer) Ted Kaczynski and Mark Zuckerberg both attended Harvard. And only one of them graduated. But here’s what we don’t get: Why is Zuckerberg in Washington, D.C., and what does he have to apologize for? When you choose to have a profile on Facebook, if you don’t recognize that your information is their product, is what makes them such a hugely profitable company, then you’re an idiot. And if they sell that information to a third party who then uses it to target you with fake news and you BELIEVE that fake news, guess what? You’re an idiot again. Zuckerberg is not an idiot. He’s a highly intelligent and enterprising young man who created a platform that, for better and for worse (usually for worse), has changed the world. And the “for worse” aspect is because too many of the people using Facebook are indulging themselves in self-glorification, which once more is not Zuckerberg’s fault (just because Thomas Edison harnessed electricity is no reason to blame him for autotune). It’s almost as if Congress wanted to find a scapegoat for the fact that Donald Trump was elected. Why not publicly denounce Cambridge Analytica or better yet the Trump campaign, which deployed them? If PRIVACY is your big concern, let’s abolish most of the Patriot Act. And get rid of government contracts to the types of places where Edward Snowden worked. This was no less of a grandstanding dog-and-pony show than what was taking place simultaneously yesterday afternoon: President Trump hosting Alabama on the South Lawn. UPDATE: In all this talk about Facebook and privacy, CBS This Morning ended its coverage of the Zuckerberg appearance on Capitol Hill by noting that a photographer had been able to snap a shot of Zuckerberg’s notes, and then detailed what a few of the messages on that page of paper said. Read this piece by Andrew Ross Sorkin in The New York Times. He sorta nails it: we don’t, by and large, care that our privacy is being sacrificed. You have to wonder where the line between T.J. Miller ends and his reckless alter-ego from Silicon Valley, Erlich Bachman, begins. Yesterday Miller was arrested at LaGuardia Airport after allegedly phoning in a bomb threat to Amtrak about a train en route from Washington, D.C. to New York City. Details: the incident in question actually occurred more than three weeks ago. Miller, who was riding on Amtrak 2258, made an emergency call about Amtrak 2256. The latter train was evacuated; then when authorities realized Miller was on 2258, they evacuated that, too. There was no bomb, but Miller himself was bombed (intoxicated) and perhaps his behavior was off the rails. It was a wild Wednesday, or as editors at SI used to write, a “wacky” Wednesday, in Champions League play. 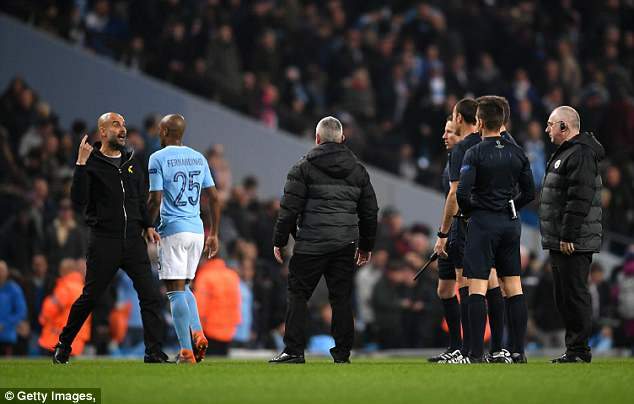 Manchester City manager Pep Guardiola (far left) was sent off after expressing some halftime vitriol to the referee and had to watch the second half of his side’s 2-1 defeat from the stands. How often does that happen? What got under Pep’s skin? A disallowed goal that would have put Man City up 2-0 at half. They’d lost the first leg 3-0 so they needed to win 3-0 just to force extra time (yes, I write this stuff just sort of to explain soccer rules to myself; I’m learning as I go). Man City may clinch the English Premier League this weekend, the earliest in terms of number of matches remaining (5) that any club ever has, and they’d be doing it against their rival, Manchester United in the derby. But they’re out of the Champions League. So too is F.C. Barcelona, who lost at A.S. Roma yesterday. Barca has won five Champions League titles in the past dozen years, but Lionel Messi and amigos are out. Barca had won at their home 4-1 but lost 3-0 in Rome last night. By aggregate goals the teams were even, 4-4, but A.S. Roma won the tiebreaker: away goals. Finally, the top player in both the English Premier League and the Champions League this season is an Egyptian prince: Mohamed Salah. In his first season with Liverpool, the 25 year-old striker is leading the EPL in goals (29) and yesterday he scored his eighth goal of the Champions League tournament in Liverpool’s 2-1 win versus Man City. Donald Trump five years ago…. I think that Amtrak train has already sailed, Trey. You can jump right to the 6:24 mark of Saturday Night Live‘s Baltic States cold open last weekend. It’s blunt and the most candid assessment of Trump you’ll hear. Let’s check in on Jada Yuan, the writer who was selected to be The New York Times “52 Places” traveler and chronicler for 2018. 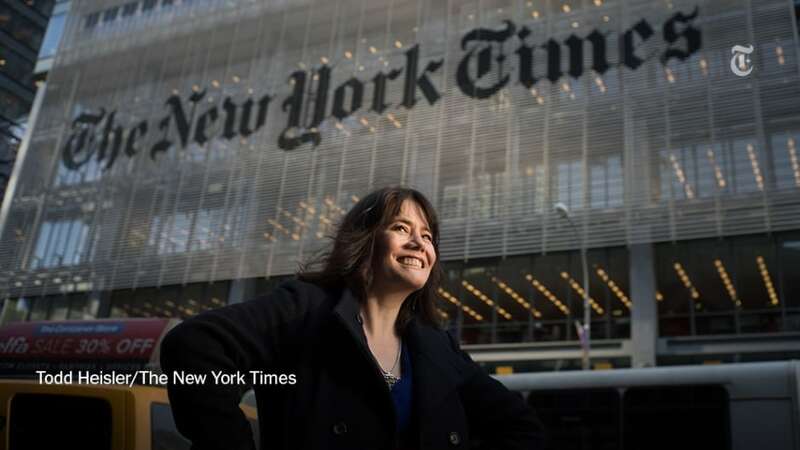 We mistakenly assumed she’d hit all 52 spots and nearly kill herself doing so, but the editors at the NYT have given her a somewhat more manageable schedule (as opposed to our old college football editors at SI, who’d dispatch us to a different locale for 16 consecutive weekends; thank God all the sacrifice turned out to be worth it…. (: ). This week Yuan is in Bogota, Colombia. Thus far in 2018 she has sent dispatches from (deep breath) New Orleans, Chattanooga, Montgomery (again, I covered those three spots in my first 3 weeks covering the SEC for SI), Disney Springs (Fla.), Trinidad and Saint Lucia, San Juan and Costa Rica. Are they ever going to let Yuan out of this hemisphere? She’s probably wondering the same thing. And will she cover the Iron Bowl this November? The Times says that Yuan will be traveling to every spot on its “52 Places To Visit in 2018” list. Either she’d better kick it into gear or we’re just going to assume she’s not obliged to write about all of them. If you were to request a song that came along during and also embodies Peak ’70’s mood, this Jackson Browne classic would be my answer. Although it never went to No. 1 after being released in August of 1977, it remained on the chart for 17 weeks. The Bicentennial was still a fresh memory and the Iran hostage crisis was still a couple years off; Charlie’s Angels and Three’s Company were hits; and the New York Yankees were about to win the World Series, Notre Dame was going to win the national championship abetted by a former backup named Joe Montana, and the Dallas Cowboys were going to win the Super Bowl. Okay, so maybe it was MY Peak ’70’s mood. City played, and lost, to United this past weekend. 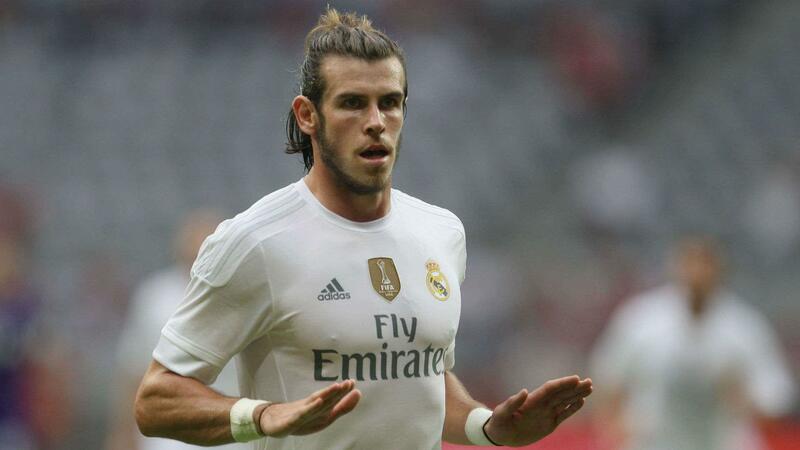 They play Tottenham on Saturday. Nick Saban at his Saban-est: he reportedly called recruits from the White House.